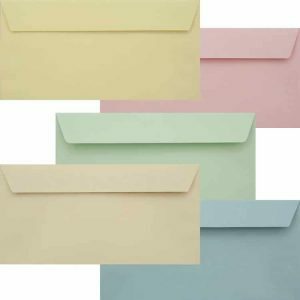 Our Premium 120gsm Pastel Pack contains five of our most beautiful pastel colours. With a heavy paper weight and a solid colour inside and out, you’re sure to fall in love with our Luxury Pastel Pack. 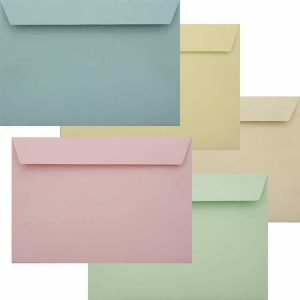 Available in C5 and DL sizes with a self seal flap, our deluxe pastel pack is perfect for Wedding Stationery, Christenings, Christmas, Birthdays and Parties.